You can then select the site in the “Work with” list and continue the installation like with any other plugin. But is also works if you output escape sequences directly from Java. Or from Perl, C++, or Groovy, or any other Eclipse hosted language. See here the complete info. and the make the result available in Eclispe at the end. The text is “feed” to the tool as standard input and the standard output becomes the result. GitHub has now “releases” to host binaries, so go there to take the latest version. And it keeps changing as I scroll. Any advice? Would really like to use this plugin. It is caused by colors that go across several lines. But unfortunately I have no clue how to attack it. At least for now. Eclipse calls my function for each line, to get color info. And it used to “remember” the colors once set. But not anymore. So I would have to do the remembering myself, but there is nothing to uniquely identify a line. The only fix I can think about means some caching, and some heuristics (but nothing 100% reliable). For now the only workaround is to avoid multi-line colors. Unable to read repository at http://www.mihai-nita.net/eclipse/content.xml. Thank you for reporting this. Something is weird, indeed. I can’t get that file with curl, or wget, or the browser. 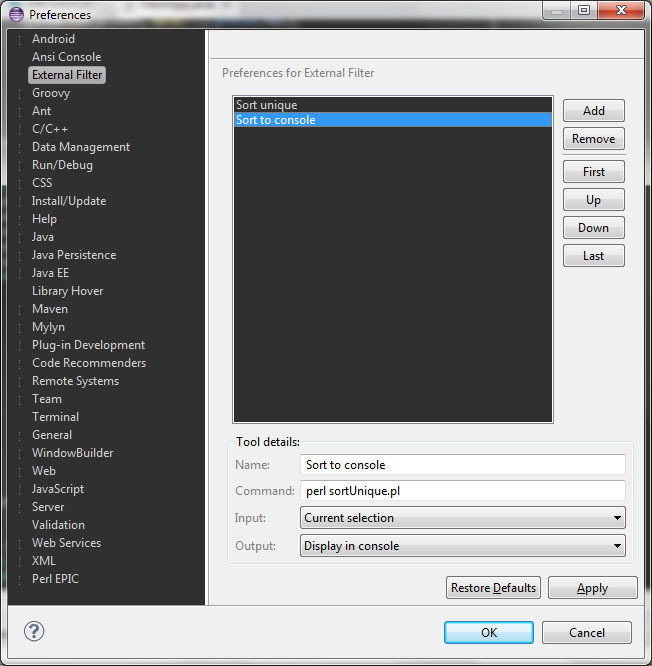 or by adding http://www.mihai-nita.net/eclipse as install repository? 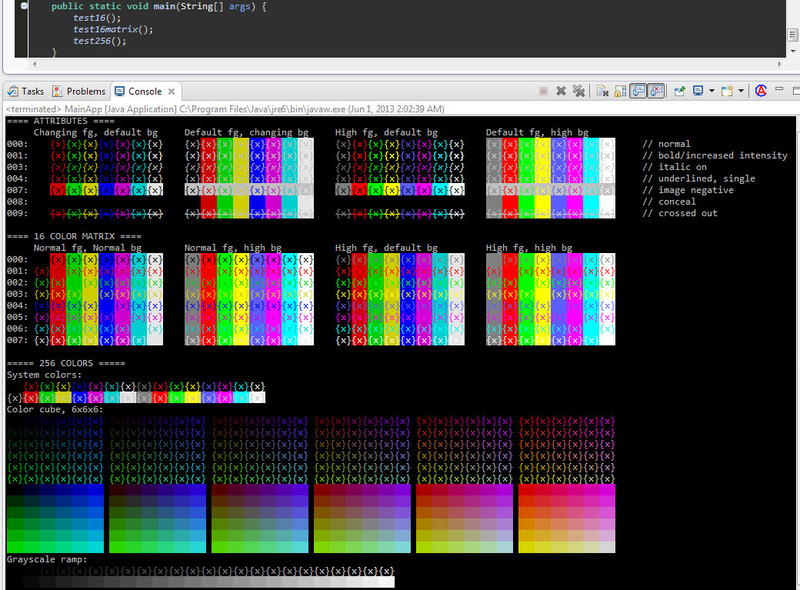 Awesome work on the ANSI console. I am working on some hobby MUD game projects and it is really useful to have color output on the console. Thank you, thank you, thank you! Installation without errors, no issues in .log. Any suggestions how to knock down the issue? If that works, then it is not the plugin or Eclipse, but something else that you are using / doing. One cause possible: many libraries detect if the standard output is redirected, and if that is the case, they don’s output ANSI escapes anymore. In most cases there are ways to force them to do that, but the solution is library specific. It does not have to be this way, or course. You can find some blogging software that has WYSIWYG. But I had no interest in that, and I did not research. So sorry, there is not much help I can offer here. Except that I am sure that if you search, you will find a lot of options with decent blog hosting and WYSIWYG.